Internet of things has gained increasing importance these days owing to its manifold attributes in the day to day life. It is becoming a topic of interest for conversation at various forums. The internet of things is a brilliant concept that has a larger than life influence on how we live and work. Amidst the technical intricacies and policy related discussions, a few basic fundamentals revolving around the application of internet of things can be interpreted. With the widespread availability of broadband internet, increasing number of devices can now be connected at decreasing cost. Technological surge with more than one smartphone penetrating into every home has paved a way for the internet of things to boom and flourish. In simple terms, the internet of things can be defined as the ability to connect to any device with an on and off mechanism that is linked to the internet. It includes an array of smart gadgets such as ovens, coffee maker, smartphone, refrigerator, washing machine, musical system, lighting, thermostat and a list of other devices too. Any electrical smart gadget or its component with an on and off switch has the ability to be connected to the internet of things. Several analysts after innumerable studies have predicted that by 2020, there will be as much as 26 billion devices that can be linked to the internet of things. The internet of things is thus becoming a colossal network of connected gadgets and people. So the world wide web would now feature links between people-people, people-things, and things-things. It does sound great and brilliant. The exciting rule of thumb for the future, therefore, would be, stay connected. The potential value that generates with such a broad end facility is that it streamlines life. Let’s look into an example for understanding how the internet of things works. When you head for an important meeting at your workplace, by utilizing the internet of things, your car gets an access to your calendar. Your car decides the best route for you to reach office ahead of time considering the traffic menace. Similarly, with interconnected things, an alarm wakes you at 6 a.m. and sends an instant notification to the coffee maker to start brewing coffee which just sounds exciting. An internet of things can do this and much more too. At office, with the internet of things, your workplace paraphernalia can now detect low supplies and automatically place an order for them. Thus, the internet of things can be utilized on a broad scale to simplify life. 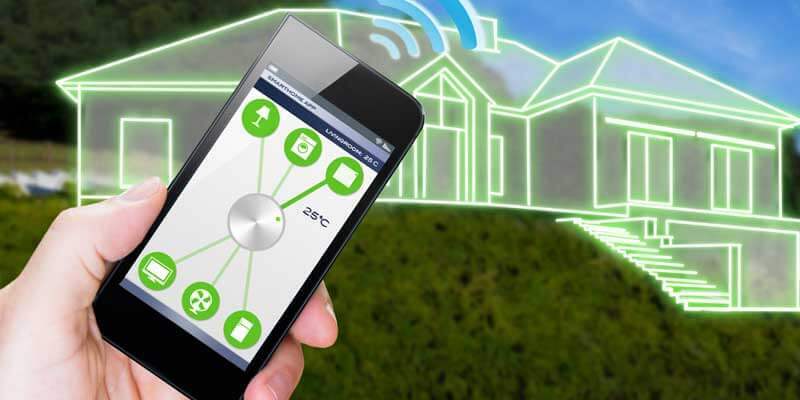 The internet of things can be used to improve energy efficiency by reducing unnecessary wastage of resources. With the growing internet of things, a fascinating future just awaits us. On real terms, the internet of things creates infinite opportunities at the virtual level to enable interconnections. Though the impact of internet of things cannot be described in words, it is a big storehouse of amazement. Although issues such as security, privacy and data sharing crop up with the internet of things, nothing can literally stop its growth. With many gadgets linked together, it is important to keep vital personal information secure while exploring the internet of things. The massive amount of data produced with an extended use of internet of things is another important aspect to be handled. An organized pattern of storing, analyzing and tracking data can restructure the entire internet of things in a more effective manner thereby operationally handling the colossal data generated. With the mounting merits of internet of things, it is not difficult to visualize the growing importance of this technological feature. It is a sizzling topic among many industrial stalwarts to capitalize on this technological boom. With the internet of things extending its horizons, it can be used in numerous permutation and combinations. The impact generated by the internet of things is huge and massive not enough to be described by words. With an extended range of options accessible at Chennai home automation, it is time to unveil the potential benefits of using internet of things to make life simpler and exciting at the same time. The internet of things not only connects the gadgets but also makes them think that allows you to relax and explore an all-new world.